The third and last batch of tickets will go on sale from Friday, 27 February 2015 at 09:00 CET. There will be tickets on sale for all the live-shows, jury-rehearsals and family-rehearsals. 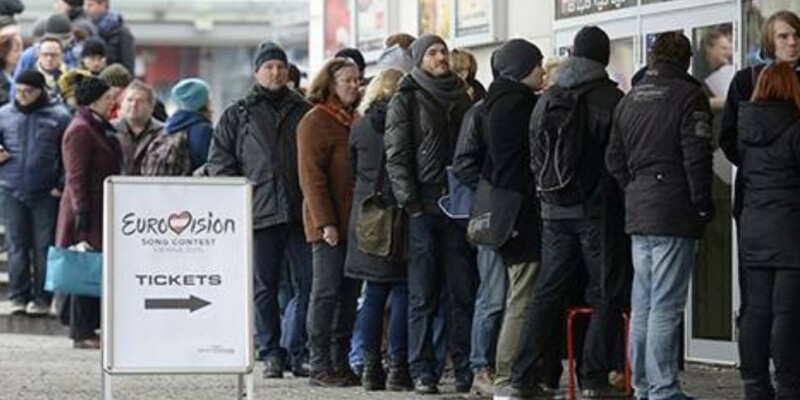 The first batch of tickets went on sale on 15 December 2014. Here the demands for the tickets were very high. After 20 minutes all the available tickets for the Grand Final on 23 May 2015 were sold out, and after one hour all the available tickets for the two live Semi-finals were sold. The second batch went on sale on 29 January, but only for the Semi-finals. This happened after the allocation draw where it was decided which countries that will compete in semi-final 1 and semi-final 2. • Family rehearsals: Up to five tickets may be purchased per credit card. • Jury rehearsals: Up to two tickets per credit card. • Live shows: Up to two tickets per credit card. This is to ensure that more people can purchase a ticket. What if i didn't get tickets? For those who're unlucky not to get the desired tickets, there will be remaining tickets again and again until May. There are certain quatas of tickets reserved for delegations and international fan clubs, and if not all of theese tickets are sold, you will be able to buy these tickets in free sale. The tickets are offered in six different categories and sold in several batches. The prices varies depend on the particular show. They range from 14 Euros (Category D, Family rehearsals, Semi-finals) over a wide range in the medium price range up to 390 euros for tickets to the Grand Final on 23 May (Gold Category). There will be tickets for standing and seating.